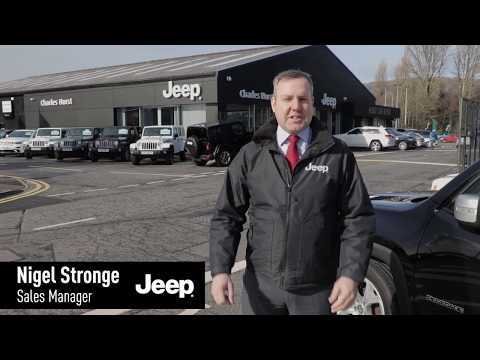 At Charles Hurst approved used Jeep showroom in Belfast, Northern Ireland we stock a range of second hand, and used Jeeps for sale. All of our cars are thoroughly examined by our expert engineers so that you can rest assured you are taking home a quality vehicle. Supplied and cared for by ourselves this SPECIAL EDITION Jeep RENEGADE TOUGH MUDDER is based on the range topping TRAILHAWK off road model&period; Featuring a 9 SPEED AUTOMATIC GEARBOX with LOW RATIO and even TERRAIN SELECT 4WD MODES including SNOW MODE you can rely of this JEEP in the harshest of weather! Here we have a fantastic opportunity to save over £5500 off the list price of this NEW MODEL JEEP RENEGADE 1&period;3 PETROL AUTO 150BHP&period; Features include ANDROID AUTO; APPLE CARPLAY; TRAFFIC SIGN RECOGNITION; SAT NAV; DUAL CLIMATE CONTROL and even LANE DEPARTURE WARNING! Supplied and cared for by ourselves this Jeep Wrangler is presented in superb condition throughout&period; As the world&apos;s most iconic off road vehicle (since 1941) the Wrangler must be top of the list for any overland adventurer! Book you test drive today and see where it could take you! This Jeep Wrangler is the Limited edition &apos;X&apos; model which features a half leather interior with HEATED front seats and unique X edition graphics and seat embroidery&period; Specification includes 18" two tone ALLOYS; SAT NAV; BLUETOOTH; AIR CON and Hill DESCENT control! Supplied and cared for by ourselves this is a fantastic opportunity to acquire one of the world&apos;s most iconic vehicles the Jeep Wrangler&period; Designed and built for adventure this SUV features SAT NAV&comma; CLIMATE CONTROL&comma; BLUETOOTH and a REMOVABLE HARD TOP for convertible fun! Supplied and cared for by ourselves this STUNNING JEEP WRANGLER NIGHT EAGLE SPECIAL EDITION must be seen to be appreciated&period; Featuring LEATHER with HEATED front seats&comma; SAT NAV; BLUETOOTH and even the SOFT TOP included!